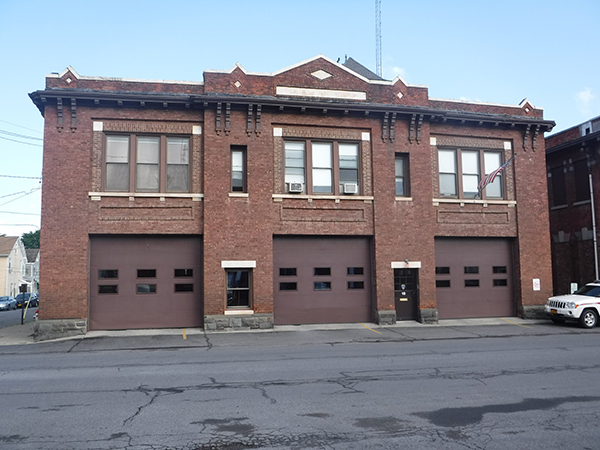 The existing concrete slab in this firehouse came under scrutiny when terra cotta masonry units bonded to the slab’s underside detached from the slab and collapsed onto the basement floor. A general investigation of the slab indicated it had deteriorated from its original condition, and would need to be analyzed. Peak Engineering was contracted to determine the structural details of the slab including concrete thickness and steel reinforcement layout, and to judge whether the existing slab and beam structural system could continue being used in its current state. We arranged for non-destructive testing to be performed on the slab, which mapped out the spacing and depth of steel reinforcement across the slab. We confirmed the spacing and depths by removing a portion of concrete at a little-travelled location in the slab and observing the layout of the exposed steel reinforcement. We determined that the steel beams were adequate for the applied loads, but the concrete slab had deteriorated too much to be relied upon, and would need to be replaced to continue its current use.